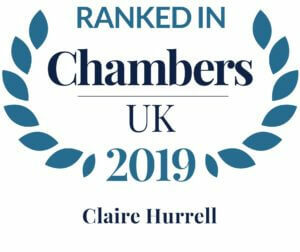 Claire is a Partner in our Medical Negligence team, with experience comprising a broad spectrum of cases including birth injury, neurological and spinal injury, and orthopaedic injury. She has a particular interest in fatal claims and inquests concerning hospital and GP negligence. Claire joined the firm in 2013 as an Associate Solicitor and was promoted to Senior Associate in April 2016, before joining the partnership in April 2017. 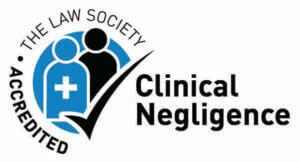 She is a panel member of the Law Society Clinical Negligence Accreditation Scheme and Action Against Medical Accidents. 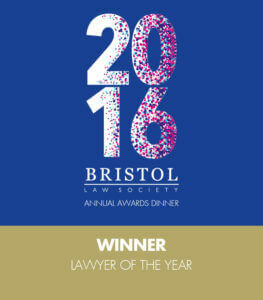 Claire is ranked in Chambers as ‘One to Watch’ and was named Bristol Law Society’s Lawyer of the Year in 2016. Claire, just to say thank you for all your guidance, help + support, and for bringing this case to such a successful conclusion.